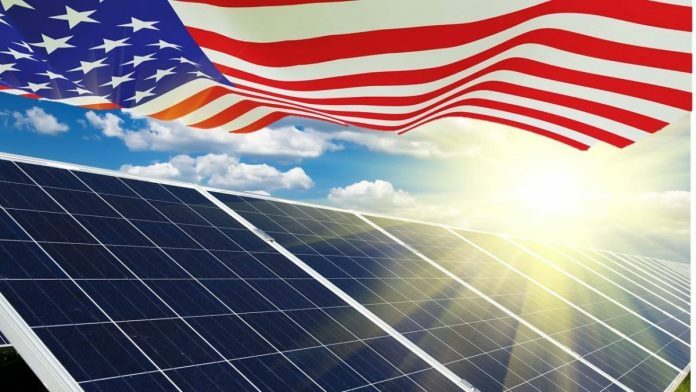 Last year, despite broad opposition from the solar industry, the Trump administration imposed a 30 percent tariff on imported solar cells and panels. The effect was immediate: after announcing the tariffs in January of 2018, second-quarter installations were 9 percent lower year-over-year and 7 percent lower compared to the first quarter. But the tariff declines to 25 percent this year, and prices should decline proportionally. And over the next two years, the tariff declines by 5 percent annually before expiring in 2022. Installing solar panels frees you from the grid and gives you more control over your energy production and consumption. Grid-tied energy consumers don’t have options when it comes to the price they pay for electricity or the technology that is used to bring it into their homes. Homeowners whose properties are equipped with solar panels, however, can customize their solar energy systems to meet their needs. If your home produces a lot of energy, for instance, you can invest in a solar battery to store energy produced during periods of low energy consumption. And when it comes to choosing the type, quality, and price of your solar panels, the options are endless. Power outages often last hours; some even last days. But if your roof is topped with solar panels and you have a battery to store excess energy, your home will have electricity no matter what disaster strikes your local electric utility. This energy security is one of the many benefits of going solar. Today, few home solar systems have batteries, but battery prices have plunged over the past few years, and as a result, there’s a trend toward installing solar batteries. Traditional forms of energy generation use fossil fuels like coal and natural gas. Together, fossil fuels produce about 63 percent of all electricity in the U.S. But these fuel sources have lots of negative impacts on human and animal health. Coal-fired power plants, for instance, release air pollutants like cadmium, mercury, carbon dioxide, methane, and lead. These and other pollutants, according to the National Institute of Health, “can cause a wide range of health effects, including heart and lung diseases. Exposure to these pollutants can damage the brain, eyes, skin, and breathing passages. It can affect the kidneys, lungs, and nervous and respiratory systems. Exposure can also affect learning, memory, and behavior.” Moreover, coal plants produce large volumes of greenhouse gases, accelerating climate change. But solar energy is clean and carbon-neutral. While it’s true that the production of solar panels is energy-intensive and requires harmful chemicals, once the panels are up and running, you’ll never have to worry about them producing dangerous air pollutants or contributing to climate change. By reducing or eliminating your consumption of energy drawn from the grid, you’ll experience tremendous savings on your energy bill. The precise amount of money you’ll save depends on the size of your solar system, your latitude, the amount of energy you consume, and your access to financial incentives. The average 20-year savings for Americans who went solar in 2011 was over $20,000. But in some states like New York, California, and Florida, the projected savings were more than $30,000. And in Hawaii – which, due to its remote location, has the highest electricity rate in the country – homeowners who go solar stand to save almost $65,000! To find out how much you could save by going solar, click here to check out Google’s Project Sunroof. 2019 is one of the last years you can cash in on the solar investment tax credit (ITC), which provides a 30 percent federal tax credit against the value of a residential or commercial solar energy installation. The ITC is best understood through example. Suppose you install an average-sized solar energy system at a cost of $20,000. Since the ITC allows you to claim a 30 percent reduction on your income tax liability, you could essentially reduce your tax burden by $6,000. But the ITC won’t be around much longer. Solar installations that begin in 2020 will only be eligible for a 26 percent tax credit, and in 2021, the residential ITC will fall to 22 percent. After 2021, the ITC will remain at 10 percent for commercial installations while the residential ITC will be eliminated entirely. Even when the ITC goes away, though, your state and local governments might allow you to save big in other ways. Many states and municipalities have net metering regimes that allow your home solar system to function as a miniature power generation station. Net metering allows the excess energy your system produces to be shunted back into the grid where it can be used by someone who needs it. This both reduces the load on the grid and gives you a further reduction on your energy bill. For instance, suppose you head out to work early in the morning and don’t come back until later in the evening. All the while, your solar panels are soaking up sunlight and turning it into energy that your home could use. Under normal conditions, if you weren’t home and using electricity, that excess energy would just be wasted. But net metering allows that energy to be rerouted into the grid. Then, at the end of the month, your local electric utility will reduce your bill based on the amount of energy your system produced. The renewable energy certificates (RECs) program works in a similar way. Homeowners living in states and municipalities that offer RECs receive one for every megawatt-hour of energy their system produces. After acquiring a REC, the homeowner can sell it back to the local energy utility, which needs RECs to meet their state-mandated renewable energy production quotas. REC prices vary with the local market, so homeowners can save their RECs and sell them strategically when prices increase. Another of the most important benefits of going solar is that installing solar panels can substantially increase your home’s value. A 2006 study found that California homes with solar panels appreciated 15 percent faster than comparable homes without solar panels. A subsequent 2008 study found that California homes with solar panels and energy efficient features sold faster than homes that consumed more energy. And two 2015 studies from Berkeley National Labs found that home buyers are willing to pay about $15,000 more for a home equipped with an average-sized solar array than a comparable home without solar panels. Keep in mind, however, that these increases in value only apply if you own the system outright. If you’re leasing the system, it won’t have any impact on your home’s value. The solar industry is growing rapidly. The Bureau of Labor Statistics reports that solar photovoltaic installers will be the fastest-growing occupation between 2016 and 2026. This growth is reflected in the number of solar installation companies. Today, you can easily find at least one solar installer near you to evaluate your property to determine whether your home is appropriate for solar panels, walk you through various installation options based on your budget and energy consumption, answer your questions, and install your system. While the number of installers grows, so too does competition between them, which means that they’re all upping their game. As a result, the quality of the solar installation industry today is the best it’s ever been. The growth of the U.S. solar industry is part of a worldwide trend toward solar energy; the World Economic Forum reported last year that 70,000 solar panels will be installed every hour until at least 2023. When residential solar panels began gaining traction in the 1990s, most of them were warrantied for just 10 to 15 years. Today, however, solar panel warranties almost universally last 25 to 30 years. And just because a solar panel reaches the end of its warranty doesn’t mean that it stops producing power. Rather, it only means that the panel is no longer as efficient as it once was. But industry standards ensure that at the end of that 25-year period, your panels will still be producing around 88 percent of their original capacity.